What are the symptoms of Pancreatic pseudocyst ? What is the treatment for Pancreatic pseudocyst ? For pseudocysts requiring treatment, most of time surgery is required which is done laparoscopically. During surgery to treat a pseudocyst, the laparoscopic surgeon makes a connection between the pseudocyst and an nearby digestive organ, allowing the pseudocyst to drain through that organ. 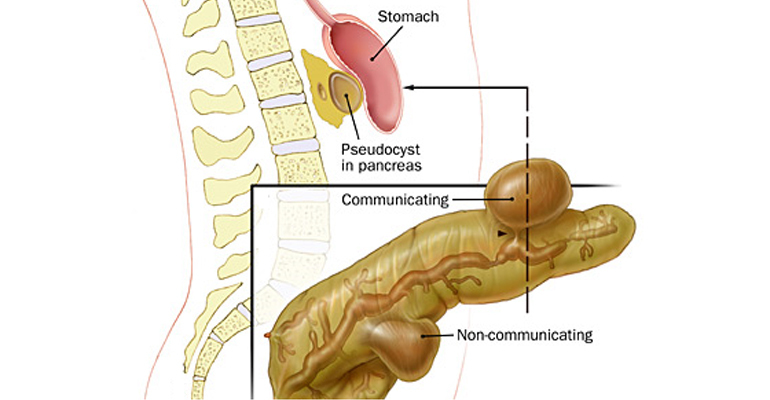 The connection made may be with the stomach, small intestine, or duodenum, the upper end of the small intestine, depends on the location of the pseudocyst within the pancreas. Dr Mradul Garg has great experience of managing pseudocysts.